The position described in this job description is for the Enterprise Officer for the ‘Transforming Tanzania’s Charcoal Sector’ project. 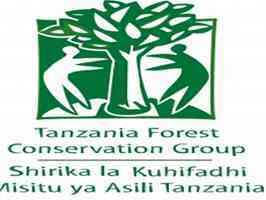 The TTCS project is being implemented by the Tanzania Forest Conservation Group in partnership with the Tanzanian Community Forest Conservation Network (MJUMITA) and the Tanzania Traditional Energy Development Organisation. The project’s goal is: ‘A pro-poor and climate resilient transformation of the economics and governance of charcoal and other forest product value chains’. The project is financed by the Swiss Agency for Development and Cooperation. The project was launched in March 2012. Phase 2 of the project started on 1st November 2015. This job description applies to the period 1st February 2019 – 30th November 2019. The geographical focus for Outcome 1 of the project is Kilosa, Morogoro and Mvomero Districts in Morogoro Region. The Project Officer is responsible for ensuring that the ‘Sustainable Charcoal Project’ achieves sustainable charcoal and timber value chains. WP 2.2.3 Ensure that TTCS project villages have access to professional technical support beyond Phase 2. The Project Officer will also undertake and / or support other TTCS and TFCG activities in accordance with the TTCS work plan and / or the instructions of the TTCS Project Manager or TFCG Executive Director. Enhancing the capacities of the charcoal and timber association members on business skills and operations. Supporting Village Councils to implement community development projects. Data collection in accordance with the project’s monitoring and evaluation strategy. The Project Officer shall keep neat and well-organised files in relation to project reports, work plans, correspondence and other documents. The Project Officer will forward all requests for data from organisations or individuals outside of TFCG to the Project Manager. The Project Officer is responsible for ensuring that s/he has up to date virus protection on his / her computer and that s/he scans all external drives connected to his / her computer. At all times the Project Officer will act in a professional and courteous manner and will maintain a positive image of the Project, TFCG and MJUMITA. The Project Officer will consult with the Project Manager with regard to any communication with the media. The Project Officer is responsible for building the capacity of Community members, traders and local government with regard to the smooth operation of the sustainable charcoal and timber value chain. This will include but not be limited to building value chain links, establishing improved chain of custody systems and working with different actors along the value chain to comply with chain of custody systems. The Project Officer will participate in the preparation of work plans and budgets. The Project Officer will work closely with other members of the project team in order to plan and implement field activities in such a way as to avoid inconveniencing community members and maximising the impact of project activities. The Project Officer will apply adaptive management skills in the implementation of the project’s work plans and budgets in order to support the project in achieving its overall goal. The Project Officer shall report to the Project Manager. The Project Officer shall provide detailed and accurate reports on any project expenditure for which s/he is responsible in accordance with TFCG Financial Guidelines. Should any conflict arise in the implementation of the project, the Project Officer will participate in a conflict resolution process as agreed with the project team. The Project Officer will help to foster a culture of mutual respect and transparency within the project team and with the communities that the project seeks to serve. The position is full time from 1st January 2019 – 30th November 2019 subject to fulfilment of the responsibilities outlined in this document and in the TFCG Human Resources Manual and receipt of funds by TFCG from SDC for the project. Bachelors or higher degree in a subject related to business or natural resources management. • Excellent communication, facilitation, delegation, coordination and listening skills. • At least 3 years experience in working in the natural resources sector with particular experience on enterprise development. • A proven personal commitment to environmental conservation. • Literate in computer software applications including Word and Excel. • S/he will be a Tanzanian National with excellent written and spoken English and Swahili. The deadline for applications is 17:00 20th February 2019. Short-listed candidates will be informed of the interview date by 26th February, 2019. Applicants who have not received communication by this date should consider their application unsuccessful.